This article — with its plagiarized slogan from American Express — is to encourage CRCTC club members to log in and make use of their online "clubhouse" by highlighting a few site elements and features that are specifically for members of the Columbia River Cairn Terrier Club. The short version is that the site has a lot of content that is only visible to logged-in members, and the site has many interactive and communication features that only logged-in members can access. Club members have special permissions that allow them to read, create and edit content on many information resources such as: a member directory, club inventory, volunteer list, and more. Sign in now to see them. Read on for an overview. Our front page serves as the front gate or street view of our site. The front page includes the typical menu bar with access to nearly all elements of the site, and also includes direct links to many frequently used areas. In addition to a public welcome message and shortcuts, the front page brings forward selected elements of the deeper site to allow members a quick "catch-up" view of activity. Many of these elements are filtered into public and members-only views. In order to provide an overview of recent activity, the front page includes feeds from certain areas of the site where content is routinely added over time. "Feeds" are streams or lists of the most recent content from a source. Our front page includes feeds from the public and member calendar, the discussion forum, meeting minutes, and articles. Guests see a list of upcoming public calendar events. Members see the same feed with added members-only events, if any. Members see an additional feed of most recently active discussion forum topics. Members see an additional feed of the most recent club and board meeting minutes. Guests see the most recent public articles. Members see the same feed with added articles that are for members only. Shortcuts are provided for quick access to selected, frequently used parts of the site. Shortcuts are a subset of site content — the main navigation menu bar is the most comprehensive navigation resource. Guests see a "popular links" list of items frequently sought by nonmembers. Members see an additional list of direct links to frequently used items. 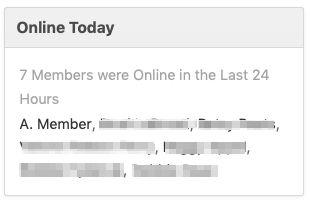 Members can view a list of members who have been active on the site in the last 24 hours. The All activity button provides a timeline view of recent activity. Advertising - a link to advertising options for members. Calendar - a link to the Calendar. Chatroom Meeting - a link to an old-school real-time chat page. Club Discussions - a link to the discussion forums. Special Interest Groups - a link to the "groups" area for special purpose subsites such as the show calendar. Directory - link to the club directory. Members can update entries in the directory. Dues Renewal - link to the dues renewal items in the store. 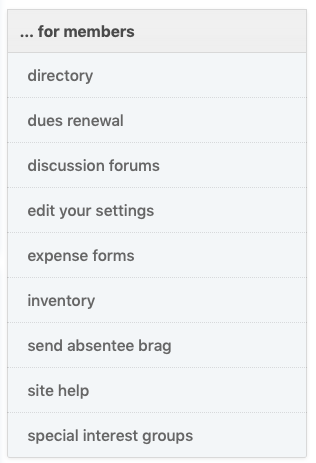 Expenses - a submenu linking to expense forms and the online expense reimbursement form. Files & Downloads - a submenu linking to the files download section, including links to any event flyers that have been uploaded; a sample event release form; media assets and graphics for reuse; membership related forms; an archive of old newsletters; and an unclassified archive of various documents worth keeping for historical or other purposes. History & Planning - a submenu with links to records of past or future events, dates, and organizers; record of past and future judges for various events; records describing trophies we offer; records of past winners of trophies. Inventory - a link to an inventory of club-owned items. Minutes - a link to club and board meeting minutes from recent months and years. Policies & Procedures - a database of various policies, procedures and job aids, organized into categories. 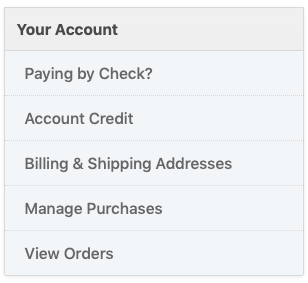 Store Account - a link to a directory page that includes links to information about your store account including notes about paying by check; your Account Credit if any; your Billing and Shipping address (where we should send stuff you order); Manage Purchases (for certain items only - we mostly don't use this); View Orders where you can see past and current orders. Volunteers - a self-service list of people who have volunteered for various areas of club activity. 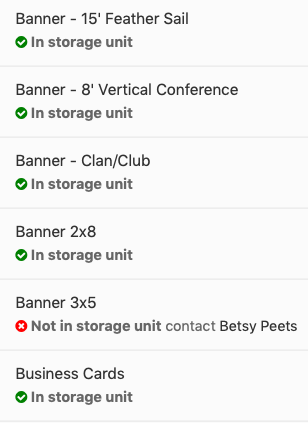 Calendars - Guests cannot RSVP to events or create them, but Members can both create events and RSVP (when RSVP has been enabled by the event creator). Articles - Guests can read public articles; Members can read and write both public and members-only Articles. Photos - Guests can view public albums; Members can upload to club albums and create their own albums. Kennels & Members - Guests can view members' pages; Members can create and maintain their own web page. Sticky Notes - members can send each other "sticky notes" that display on another member's screen when they next visit the site. Store - Guests can see a limited subset of store categories and items while Members see additional categories such as trophy sponsorship, dues renewal, and items limited to club members. Forums - Guests cannot view or access forums at all while Members can read and comment on existing topics and create new topics in discussion forums. In addition, members can provide feedback to the board through a special feedback forum. Your comments are visible only to you and the board; other members cannot see your feedback posts. 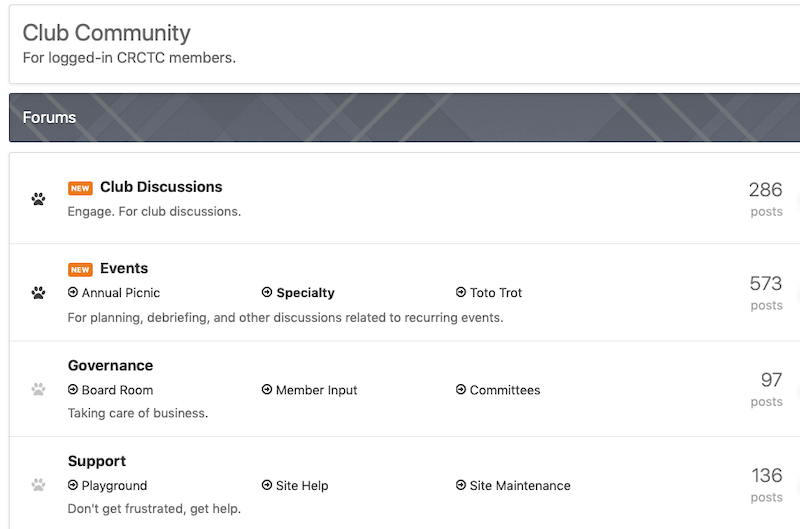 The CRCTC club site includes a lot of reference information that you may find useful from time to time. 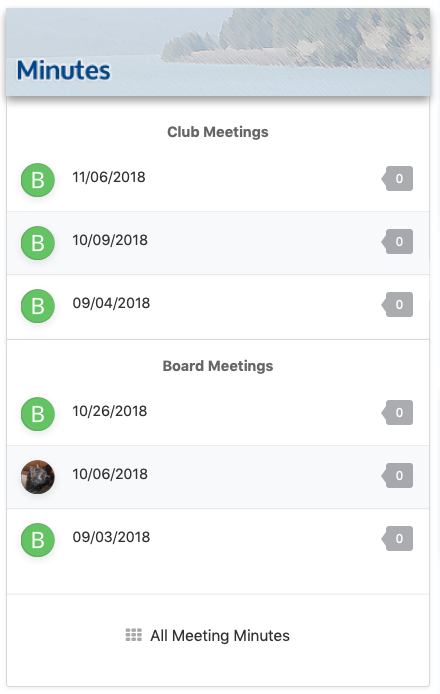 Beyond reference material your club site has robust communication features that can help overcome barriers to community that distance and time can create. Even when you cannot attend meetings or travel to events you can still participate in your club community and contribute to its health and vitality. Log in today to begin.